The Feiss Urban Renewal one light mini pendant in oil rubbed bronze provides abundant light to your home, while adding style and interest. 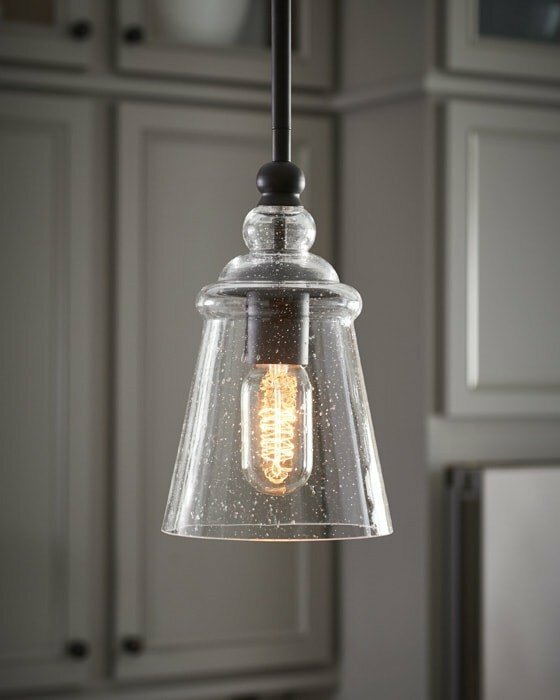 The Urban Renewal lighting collection is a diverse selection of pendants, chandeliers and sconces all inspired by the 20th century Industrial Revolution. 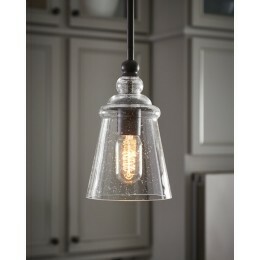 The Murray Feiss P1261ORB Urban Renewal collection Pendant Lighting in Oil Rubbed Bronze uses Incandescent light output and brings Antique style. This item is 10"H x 5.75"W. The total wattage is 100 and the voltage is 120 volts. The Murray Feiss P1261ORB requires 1 bulb (not included). Additional Information: Shade-Clear Seeded Glass.